White House says President Trump will not meet North Korean leader without “concrete actions” by Pyongyang. 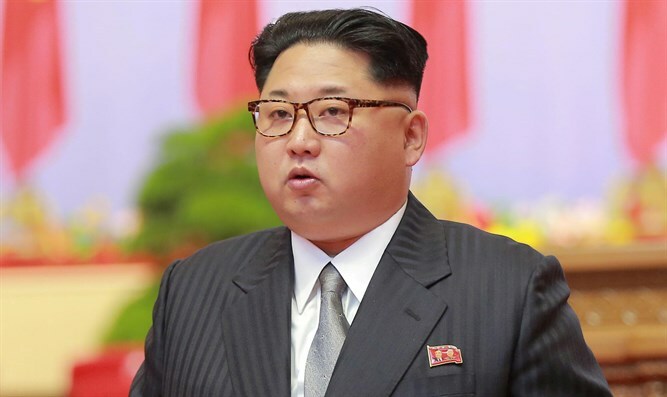 The White House said on Friday that any meeting between President Donald Trump and North Korean leader Kim Jong Un would be conditioned on “concrete actions” by Pyongyang. "We're not going to let this meeting take place unless we see concrete actions" by North Korea, said White House press secretary Sarah Huckabee Sanders. "Let's be clear: The United States has made zero concessions," she added. Asked whether the meeting might not take place "by May" as South Korea's national security adviser said Thursday, Sanders responded, "We haven't set a time or a location." "We have to see concrete and verifiable actions take place. The president will not have the meeting without seeing concrete actions," she stressed. Earlier on Friday, United Nations Secretary-General Antonio Guterres said he is encouraged by the planned meeting between Trump and Kim, his spokesman said, according to Reuters. "He commends the leadership and vision of all concerned and reiterates his support for all efforts towards peaceful denuclearization of the Korean peninsula in accordance with relevant Security Council resolutions," the spokesman Stephane Dujarric told reporters. U.S. Vice President Mike Pence also related to the meeting between Trump and Kim, saying on Friday that North Korea agreeing to discuss denuclearization "is evidence that President Trump's strategy to isolate the Kim regime is working." Pence added the U.S. had made "zero concessions" and "consistently increased the pressure" on the North Korean leader. Pence stressed that the "maximum pressure campaign will continue until North Korea takes concrete, permanent, and verifiable steps to end their nuclear program". The sudden news of the meeting between Kim and Trump came on Thursday night, as South Korean National Security Adviser Chung Eui-yong said that Kim extended an invitation to meet Trump, and the president agreed that the two would meet by May. The White House confirmed that Trump would accept Kim's invitation to meet. Last week Pyongyang for the first time signaled its willingness to return to the negotiating table. On Tuesday, South Korea said its neighbor is willing to talk to the United States about giving up its nuclear weapons. Trump later said he believes that North Korea's offer to hold denuclearization talks is "sincere." Pence, meanwhile, said Washington needed to see North Korea taking concrete steps toward denuclearization.